A surprisingly good romance suspense with a perfectly matched H/h, the kind I love to route for. Loved them both. Garwood did a great job of balancing a steamy romance, honest passion, and a suspenseful storyline with plenty of twists -- just how I like my romance suspense books. The first few paragraphs sucked me in and I never lost interest. We learn quickly that Ellie is a prodigy surgeon who witnesses a crime that nearly killed a man, and Max is an FBI agent determined to keep her safe - and in his bed. Their attraction is honest and real, and easily the best part of the book. The dialog between these two was sharp and even humorous at times, including some great teasing banter. The suspense part of the story was multi-tiered, as Ellie's past issue with a stalker who tried to kill her years ago resurfaces. So now Ellie and Max find themselves faced with two dangerous elements to contend with, both past and present dangers. I enjoyed the clever way Max and Ellie were able to unravel the mystery aspects in order to stay safe, but if I am being honest I would say the storyline of the stalker from her past did feel a bit over the top. It just left me with a lot of little questions about its plausibility. Luckily, it's not a big part of the story so this issue is minor. 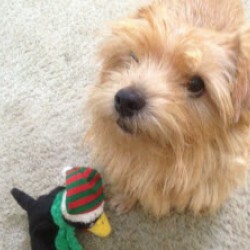 Max is a rough around the collar kind of guy, says what he means, and wants to keep his personal life simple and uncomplicated. He begins the affair with Ellie believing it's to scratch an itch, but he is unprepared for the intensity of what happens between them. Ellie is ready to begin a new chapter in her life, but she is smart enough to realize that falling for Max is out of the question for many reasons - yet she can't resist him. Overall, this a great romance suspense story with steamy passion, great characters, and clever twists. And while I thought the main romance and suspense storyline was 5-star worthy, I only gave it 4-stars mostly because of the secondary plot lines with Ellie's sisters. They were identical twins who are polar opposites - a nice twin and a self-centered twin. While it worked in the context of staging and solving the mystery, the individual story lines (especially the one with the 'good' twin sister Annie) were both given super-speedy resolutions that didn't jive for me. I was honestly hoping that Annie's story line was a setup for another book, which I would have loved to read! So I was disappointed in the quick resolution for her HEA. Bummer. 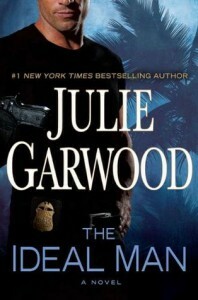 And on a funny note, I can't help but finding it a bit odd that the book is titled "The Ideal Man" when the storyline is primarily focused on Ellie, including her safety, her past issue with a deadly stalker, and her family members trying to pull off a wedding with minimal drama. Not that Max wasn't the Ideal Man, because he really was, but the story wasn't even centered around him so we don't get to know him nearly as well as we do Ellie. I've read, re-read and loved all of Julie Garwood's historicals, but I only read one contemporary by her (Killjoy) and swore never to read more. I am so glad I broke that rule! She really can write a great romance suspense, and I will continue to read more. This is a stand-alone book not related to her other Buchanan series. I received it as an ARC copy by Netgalley.com.